chopped fresh cilantro, sliced jalapeno, and hot sauce. Heat your salsa over medium heat stirring occasionally for about 10 minutes. Meanwhile, begin warming beans in a separate pan. Transfer salsa to bowl; cover to keep warm. Heat skillet over medium heat. Coat pan with a bit of non stick spray. Fry eggs to preference; season to taste with salt and pepper. 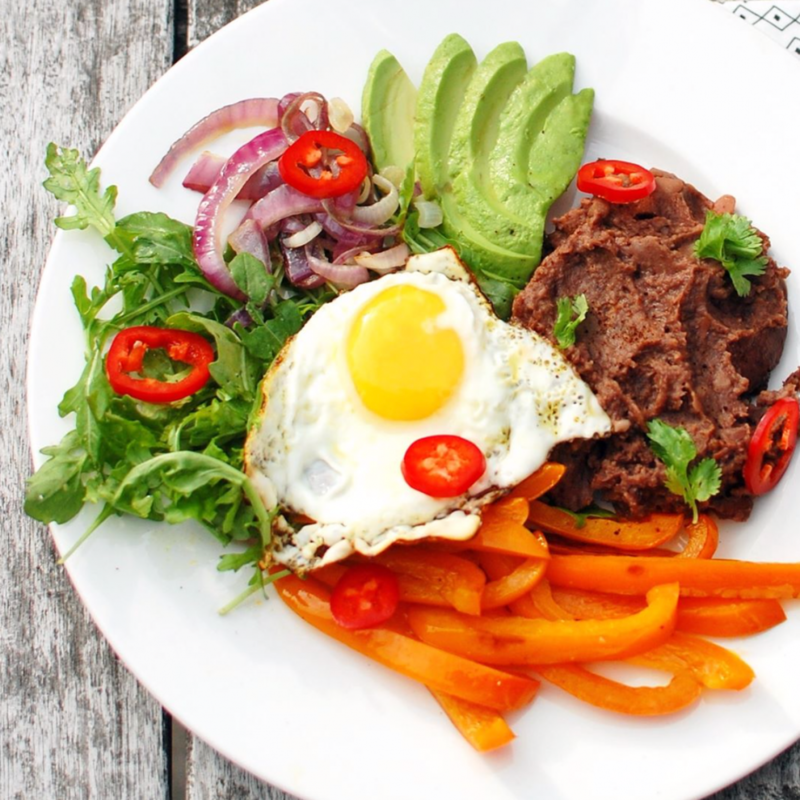 Plate your salsa, fried eggs, warmed black beans, and peppers and herbs.